Easy Way of Healthy Living! 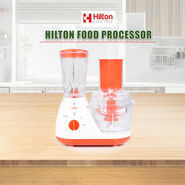 Mixers juicer is one of the vital kitchen appliances that are in huge demand now-a-days. In this modern age. every one of us is health conscious. That's why most of the people adopt the habit of drinking fresh fruit juice in a day. especially after morning walks or strenuous workouts. No fear of adulteration. no need to look out for the fruit juice vendors! 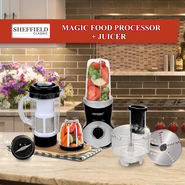 This time you yourself can prepare fruit juice in your own kitchen room with a little help of these multi-functional devices. 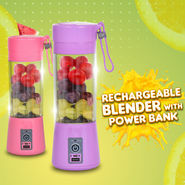 Use them whenever you want to taste the juicy extracts of fruits and vegetables. Some of these devices often come up with an entire set of grinders and mixers. Do a wide range of food preparation activity with them once they are completely yours! Chop vegetable. grind spices. mix salad. whip cream- a lot of cooking delights are now possible with these devices. 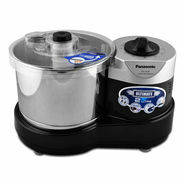 Different kinds of attachments of blades and jars are also available with these kitchen tools. Portable Mixer Grinders are mainly used by people with easy handling features. Powered by electricity. these devices do their jobs without any flaw. There is a plenty of brands. such as- Bajaj. Kenstar. Prestige. Singer. Usha. Panasonic. Khaitan. Haier etc. which offer best in class technology in these devices within an affordable range. The more advanced the technology is. the more efficient the device would be! 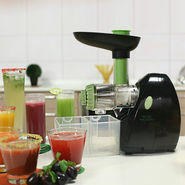 Top notch juicers always consume less time and power. And that's absolutely where you can save some electricity bill along with being a bit speedy. Most importantly. you need not to face a lot of complicacy in maintaining the new-fangled look of this kitchen appliance. Easy cleaning process and delicate handling will definitely help if you want to use these devices for a long time period.